Percocet is a prescription pain reliever comprised of acetaminophen, an analgesic (pain reliever) and antipyretic (fever reducer), and oxycodone, a narcotic analgesic with highly addictive properties. The key immediate effects of Percocet typically last 4-6 hours.The oxycodone component of Percocet is derived from the same source as that of heroin (from morphine, the primary opiate alkaloid found in the opium poppy). Indeed, the molecular structure of oxycodone and heroin are almost identical. According to the National Institute on Drug Abuse (NIDA), pain relief, euphoria, constipation and drowsiness are the key immediate effects of Percocet use and typically last approximately 4-6 hours. When used as prescribed for the treatment of moderate to severe pain Percocet can be very effective. However, similar to other opioids, slowed breathing, confusion, and even death are also considered primary short-term effects of Percocet misuse and abuse. Liver damage (usually in conjunction with acetaminophen toxicity). Slightly decreased testosterone levels in men. Peripheral edema (swelling of tissues due to the excessive accumulation of fluid). Sexual dysfunction/anorgasmia (in both men and women). Extreme withdrawal symptoms in infants born to mothers using Percocet. Diminished visual-spatial, attention and recall skills. Reduced capacity to suppress inappropriate response tendencies. Craving is an integral component of the development of Percocet addiction. Cravings can be induced physically, mentally, or in combination. As with other opiates, individuals who crave Percocet generally seek to maintain the elevated well-being and euphoria attendant to its usage. Craving manifests as a marked inability to stop thinking about wanting to use Percocet despite adverse outcomes. The development of tolerance to any opioid medication is characterized primarily by the absence of intended therapeutic effects. In other words, tolerance has developed when using Percocet at previously prescribed dosages no longer provides pain relief and/or in the case of the Percocet misuse, the euphoric effect is absent. When tolerance to Percocet develops, the dosage or frequency of the prescribed medication needs to be increased to maintain efficient pain relief. This can mean that physically one has adapted to the presence of oxycodone in your system and consequently are not able to react to its chemical cues, but not that an individual is necessarily addicted. After incorporating the oxycodone component of Percocet into the body over a period, it becomes a core part of one’s body chemistry. When Percocet is tapered rapidly or stopped altogether, the brain tries to re-regulate body chemistry to compensate for the medication’s absence and withdrawal symptoms are experienced. 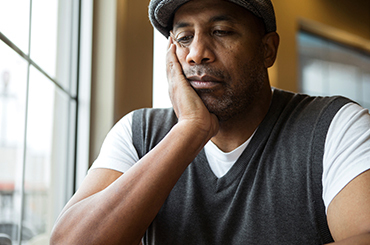 Withdrawal symptoms typically peak on the second or third day of abstinence and can include the following: agitation, cold sweats, cravings, depression, diarrhea, fatigue, irritability, muscle pain, nausea, seizures, tremors, and vomiting. Symptoms normally abate within a week. If obsessive thoughts over your next Percocet dose crowd out normal daily activities, or if fear of the discomfort you might experience without the drug is compelling your continued use, it might be time to seek treatment for Percocet addiction. Call 1-888-993-3112Who Answers? to hear more about Percocet and other opiate abuse recovery programs today. The negative consequences of Percocet addiction are enormous. Devastating to the individuals affected, their families, and to society at large, Percocet touches all aspects of life and is often the cause of death by overdose. The 2011 White House’s Office of National Drug Control Policy (ONDCP) Epidemic: Responding to America’s Prescription Drug Abuse Crisis report, cited that approximately 5.1 million U.S. individuals abuse prescription opioids (more than double the rates for other classes of prescription medications) and prescription opioid overdose rates have tripled over the past 2 decades. Prescription opioids are given to patients at such a high rate in the U.S., that the CDC reported in 2011 that in 1 year, enough painkillers are disbursed to medicate every American adult around-the-clock for one month. Approximately 5.1 million U.S. individuals abuse prescription opioids (more than double the rates for other classes of prescription medications). ONDCP Because of the high potential for abuse of the oxycodone component, becoming physically and psychologically dependent on the use of Percocet is possible even when the medication is used as prescribed over an extended period. This abuse potential is exacerbated among those using Percocet non-medically. Doctor shopping (stealing prescriptions and/or visiting many different doctors to obtain multiple prescriptions) can become a part of daily life, and the attendant stress on the individual’s mental and physical health and his/her relationship with family, friends and work colleagues, if still employed, are marked. Addiction to Percocet can spiral a life totally out of control rapidly. addiction to prescription pain relievers increase the likelihood of having or developing an anxiety-related mental health disorder. Understanding the relationship between mood and anxiety disorders and Percocet usage is very complicated because even if tolerance, dependence, and addiction present simultaneously, each stage is a separate and different entity as is the dual diagnosis of a concomitant mental health condition. If you’re concerned that you or, perhaps, someone you know is struggling with the abuse of opiates like Percocet and any associated mental health issues, a dual diagnosis opiate addiction treatment center can provide recovery assistance. Call 1-888-993-3112Who Answers? to speak to a confidential treatment support professional today.